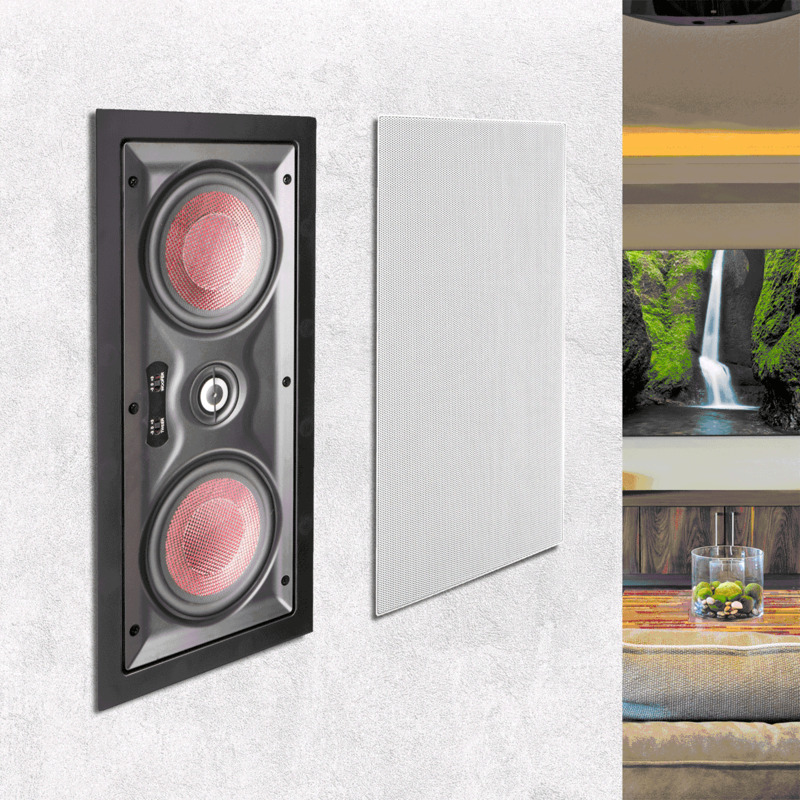 The OSD IW550 In-Wall LCR (left, right, center) speaker is an economical and space-saving option for adding left, center and right channels to a home theater or media room. 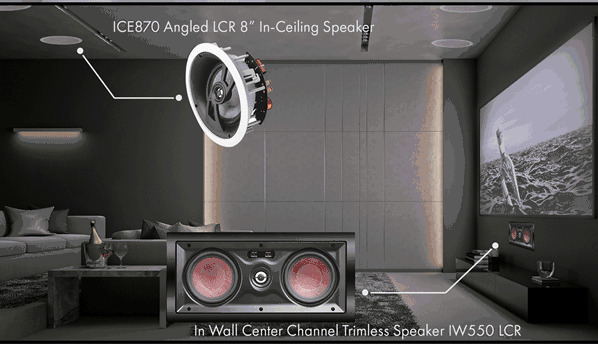 This in-wall LCR speaker can be used as a center-channel speaker in a surround-sound stereo or as a right or left speaker in a high-end system. 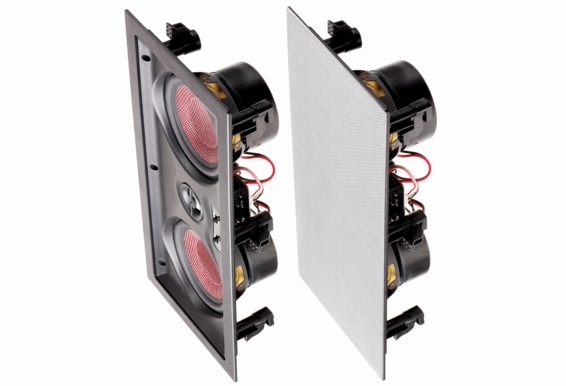 Dual Carbon-Glass Fiber Cone Woofers produce clear, full bass tones with smooth high-frequency roll-off, while the 1" aluminum dome tweeter gives you distortion-free sound on the high end. 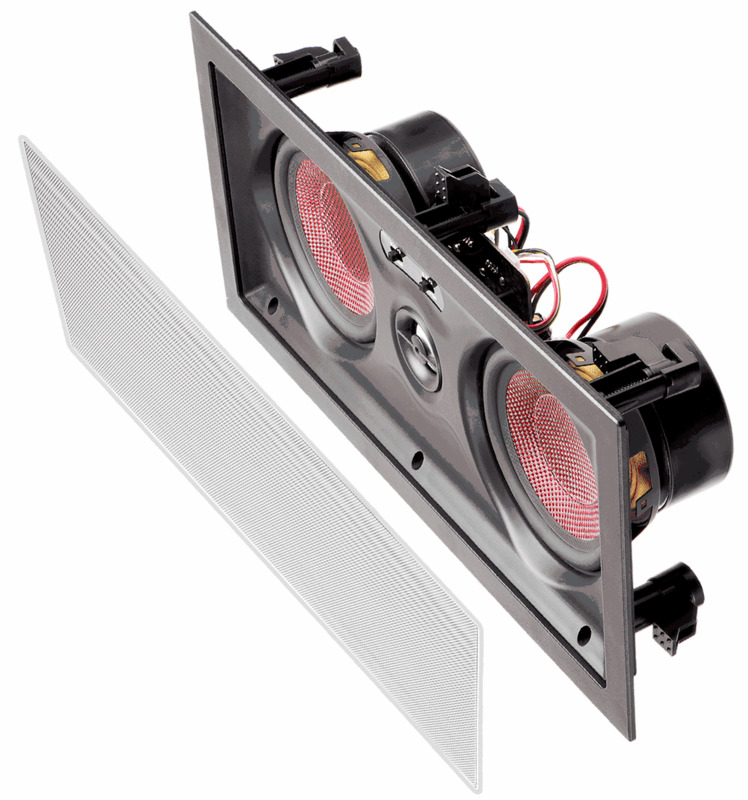 The IW550 is capable of handling up to 150 watts so it can be paired with robust sound systems, and it’s easy to install with the included template. 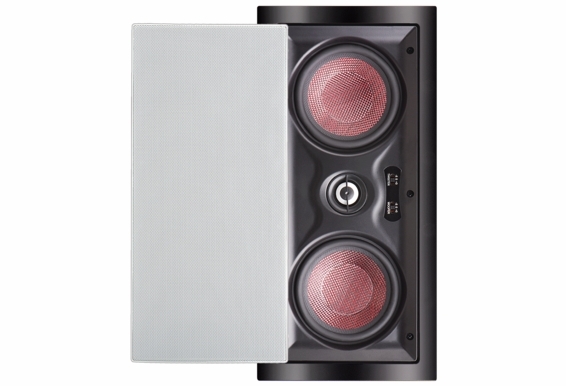 Dimensions (L x W x H): 15.6" x 7.5" x 3.75"
Cut-Out Diameter: 14.3 x 6.25"
The OSD IW550 In-Wall LCR (left, right, center) speaker is an economical and space-saving option for adding left, center and right channels to a home theater or media room. 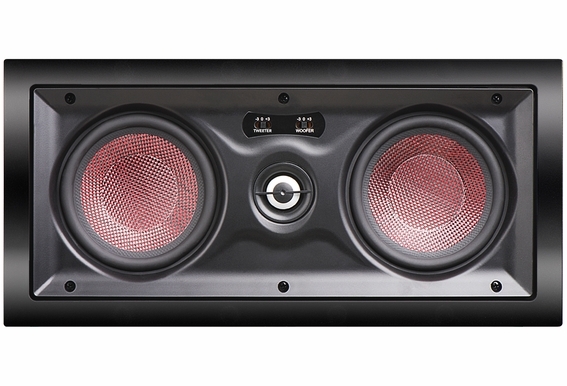 I am considering buying this as my center channel, but my question is what speakers to purchase for L & R channel? 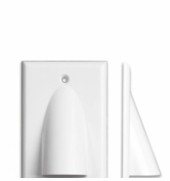 Two others like this or just regular in-wall speakers. I have a Pioneer SC-81 receiver 7.2 and a 20'X15' family room (open concept floor plan). Main uses include home theater, some light gaming, and music to entertain guests inside and outside of the house. 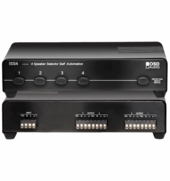 Hi James, I believe this model is discontinued and replaced by our MK-IW550LCR. 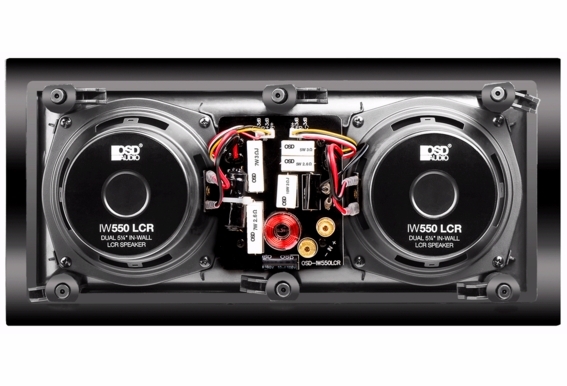 You would best match this lcr with the MKW-850 or MKW-650 as your front L/R. 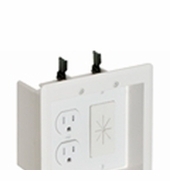 Can this product be installed in the ceiling, or would this affect the sound or is it a solely a wall mount? 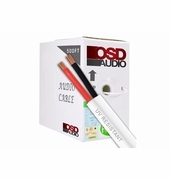 If it cannot, could you offer an alternative for a center channel comparable to this? 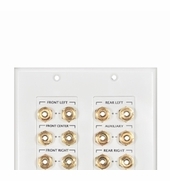 I am building a house and need to install 7.1 speakers. 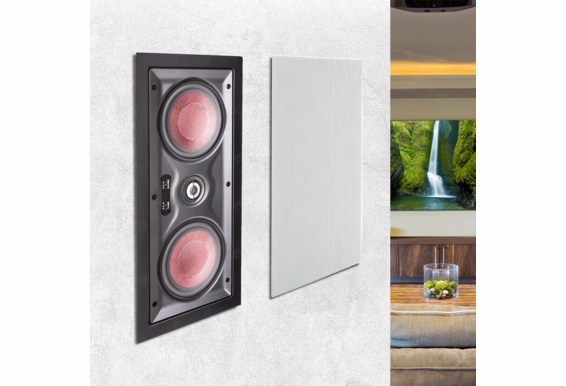 The three front speakers should be mounted on the wall but the 4 back speakers are in the ceiling. 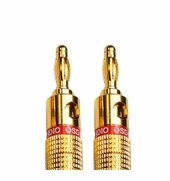 What speakers should I order? 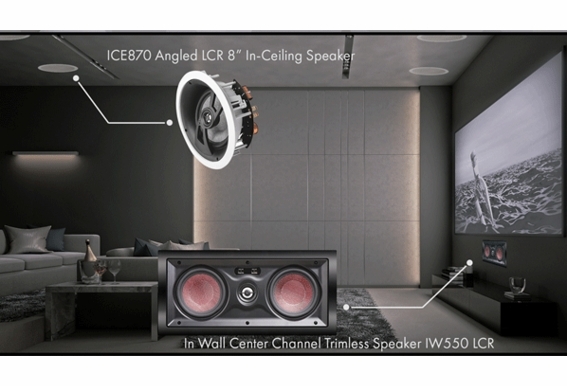 I like the specs of the IW550LCR - could I find the rest of the speakers to go with it? Is this model magnetically shielded? 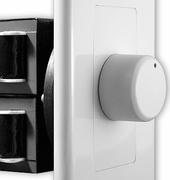 Is it best to mount IW 550LCR horizontally or vertically? Is there a paintable grill cover included? Will these speakers fit in plaster/lathe rooms it's all most 1" thick ?? 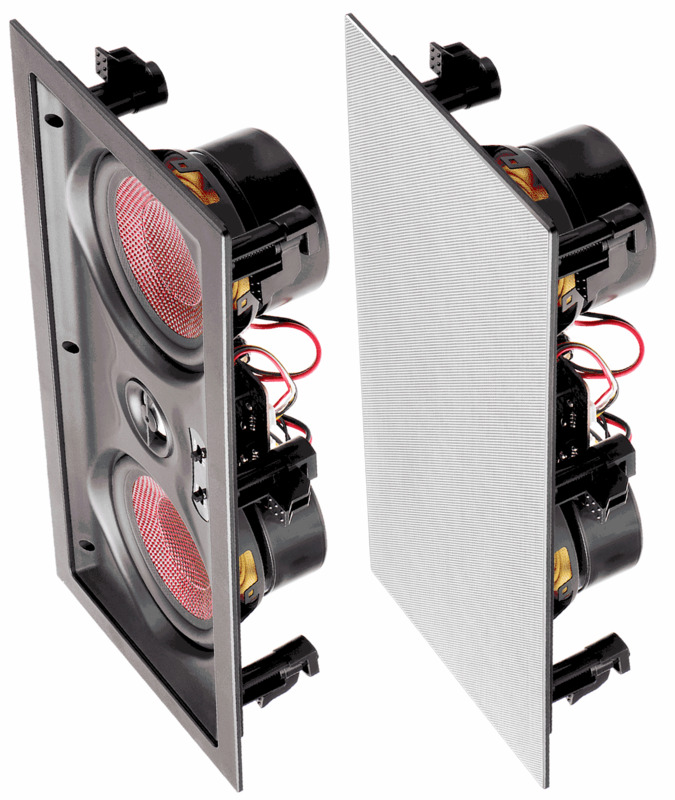 Can you paint the speaker cover? 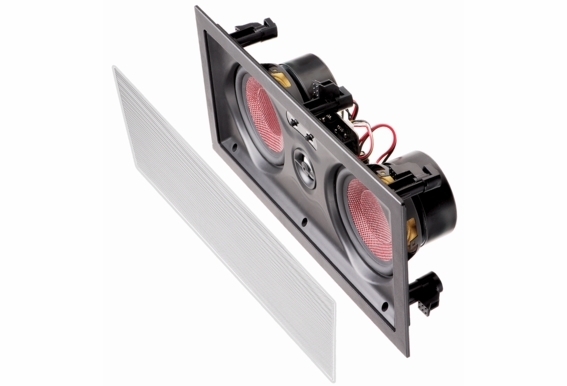 Can these speakers be instlled in outside wall up against fiberglass insulation? 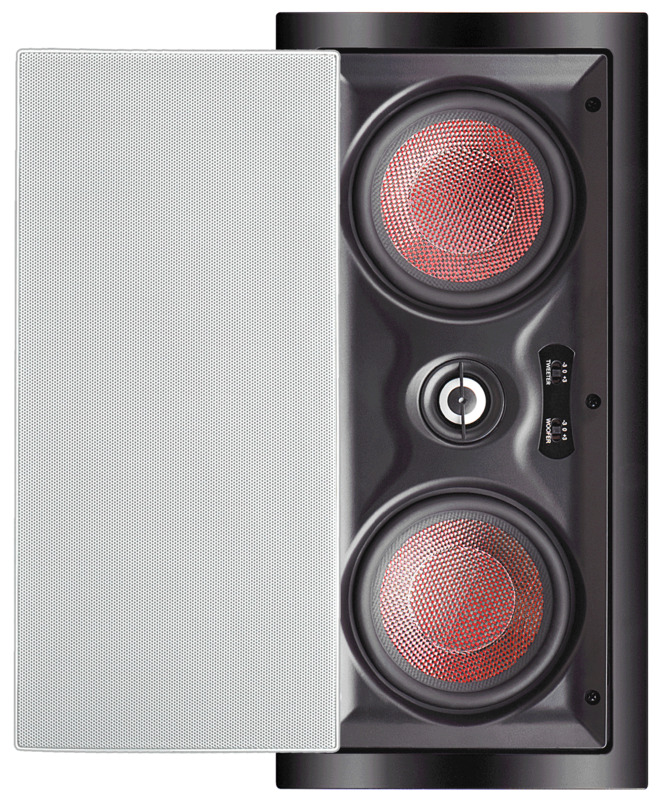 I see that it says this speaker is out of stock now, can you tell me when it will be back in stock? What is the construction bracket that you use for this model? It looks like the model listed doesn't bring anything back in the search window. When will the IW550LCR Kevlar be available?